I don’t know exactly when I started running. But I do know that the first few times were so heavy! I imagined myself running lightly and majestic around town, with a nice stride and a big smile just like you always see in pictures in magazines… Well BIG deception! I always thought that my condition wasn’t all that bad… I play volleybal 2-3 times a week and I regularly went to the gym. But after 3 runs I concluded that my stride wasn’t as light as I imagined and the grimas on my face could not be called ‘a smile’.. Lately my running routine is a bit messed up because of a very busy job (love being a teacher). But recently I signed up for the 1/4th marathon of Rotterdam (10.5 km) in April 2015. Time to boost up my training and to focus on a serious 10 km scheme! It’s good for your condition, blood circulation and the condition of your heart. It strenghtens your bones. Exercising keeps your bones strong and healthy. It’s good for your body: you burn a lot of calories while running and you’re using different kinds of muscles throughout your entire body. It shapes your legs and bottom. It has a positive influence to your mood and is a good remedie for PMS. You can run any time of the day, you don’t need a lot of equipement and you spent some good time outdoors. You can find several running schedules online! 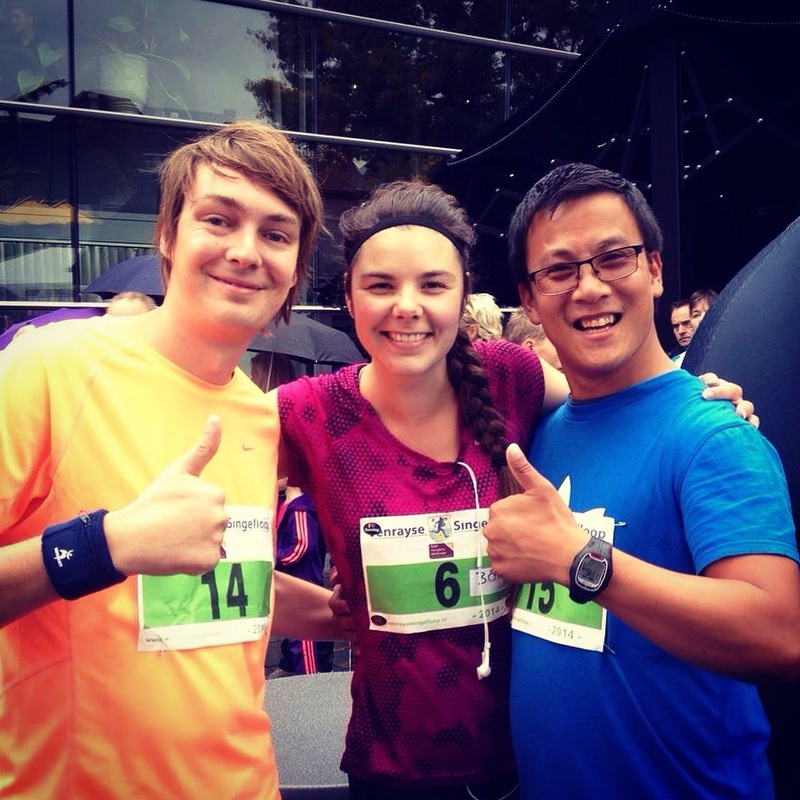 Check out http://www.runinfo.nl for more information about running and running schedules! Do you run and are you training for a race? What’s your distance and how do you train? Posted in My lifestyle, SportsTagged fit, healthy, healthylifestyle, run, running, sport, sportsBookmark the permalink. Zo jammer dat mijn lichaam niet bestand is tegen rennen, het is heerlijk! Succes! !